Psychological Capital (PsyCap) is a means to facilitate and quantify the impact that positive psychology concepts, like hope, efficacy, resilience and optimism (HERO) have in the workplace. PsyCap refers to the intentions for who you are and who you can become. 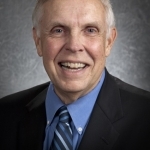 Fred Luthans, PhD has been actively doing teaching, research and consulting internationally for over the past 35 years. He seeks to offer an evidence-based, positive approach to leadership effectiveness, well-being, and individual, team, and organizational performance. He has authored several books, of which the most recent is Psychological Capital and Beyond. In April 2016 Leader Series webinar, Dr. Luthans presented as part of IPPA’s Positive Psychology Leader Series. His presentation was titled, Positive Psychological Capital: Discovering and Developing the HERO Within for Effective Leadership, Well-Being and Performance. Psychological Capital, or PsyCap, is one of four types of capital within organizations. PsyCap can be established fairly quickly through group workshops. For example, to increase efficacy, employees can be guided through gratitude exercises. By investing in PsyCap, employers can improve performance. The return on investment for PsyCap training is over 200% in some cases. Increased PsyCap is related to increased performance and decreased stress. PsyCap can be increased through workshops and facilitation.